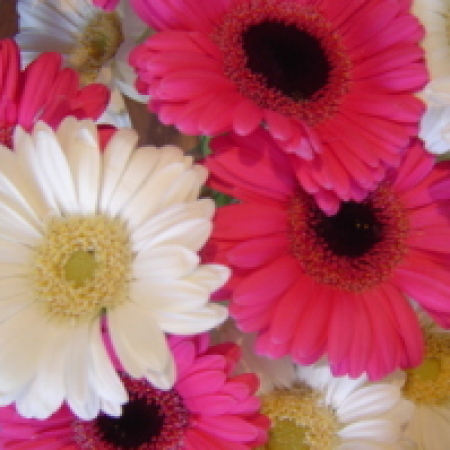 Amaranthine`s Gerbera Fun Bouquet, a happy and vibrant bouquet of fresh Gerberas mixed with lush green vibernum foliage, the perfect way to brighten someone’s day. Ideal for Valentines Day, Birthdays, Thank you, Mother’s Day, or Just Because. Created by Amaranthine Flowers By Design, New Lambton, Newcastle, delivered to your door.